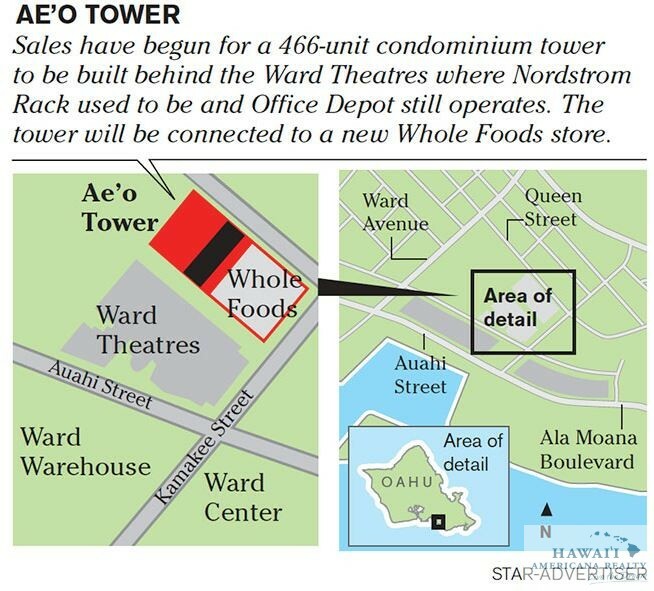 The Howard Hughes Corp. says it may “adjust” the sales price of its remaining condominium units in its Aeo mixed-use residential project in Honolulu in response to the high demand and interest seen since an initial lottery began last month for the project, which will include Whole Foods Market’s new Hawaii flagship store. 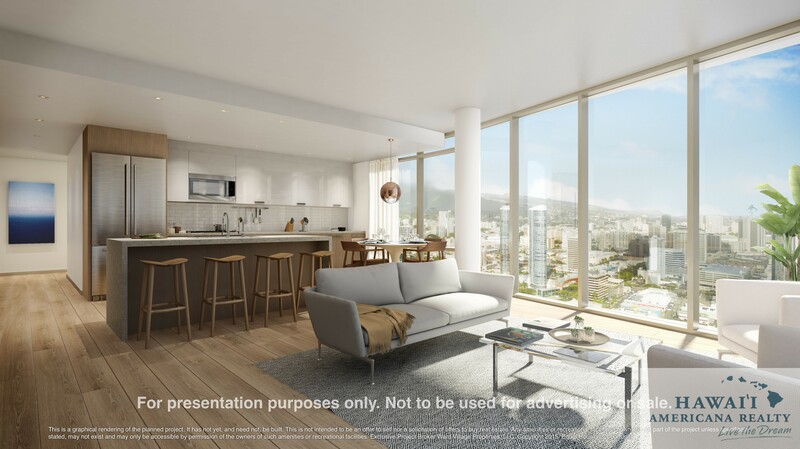 An e-mail sent by Ward Village Residential Sales Director Dwight Synan to prospective buyers said the new prices will take effect on Aug. 10. He also noted that all of the studio units in Aeo, which had a starting price of $405,016, were sold out. He said people who have already expressed interest in the project can purchase a unit at the old price before the price increase takes effect. As it is currently proposed, The Howard Hughes Corp. (NYSE: HHC) has said the 466-unit complex will also include 60,000 square feet of retail spaces. Construction on the project, which will be built on the Office Depot and former Nordstrom Rack site behind the Ward Entertainment Center complex, is slated to be complete by 2018. Under the new price list, prices for one-bedroom units will start at $817,000. Initially, the starting price for those units was $573,000, but all the lower-priced units have sold out. 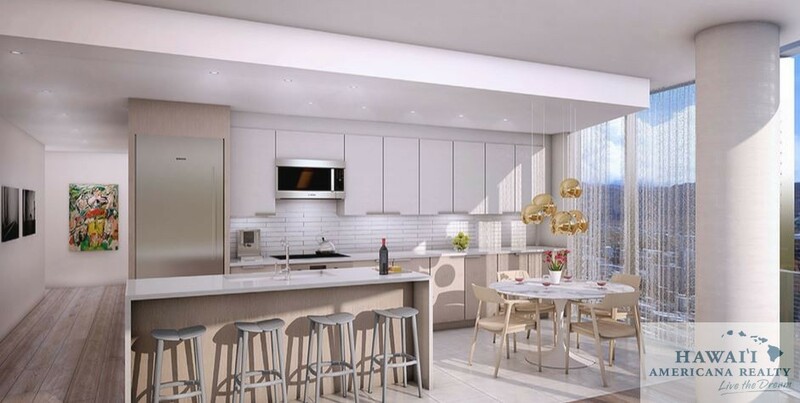 Prices for two-bedroom units will start at $1.04 million, instead of the previous $860,000 since those lower-priced units have also sold out. Prices of three-bedroom units will start at $1.76 million. Some real estate industry experts say the decision to increase prices is not a surprising one and are the result of demand for more housing options. Jon Yamaguchi, president and CEO of his Yamaguchi & Yamaguchi Inc. real estate appraisal and consulting services company, said the big question now is what type of role will speculative buyers will eventually have on the market. Construction also is continuing on the Texas-based developer’s Waiea and Anaha mixed-use towers nearby, which are slated to be finished at the end of 2016 and the second quarter of 2017, respectively. Meanwhile, the design process is being finalized for the master planned community’s 988 Halekauwila project, which will have 375 one-, two- and three-bedroom affordable units and is slated to be complete by 2019. 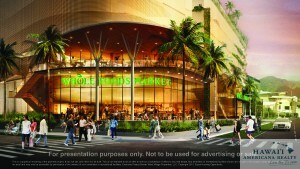 The story has been revised to clarify that the lower-priced units have sold out. 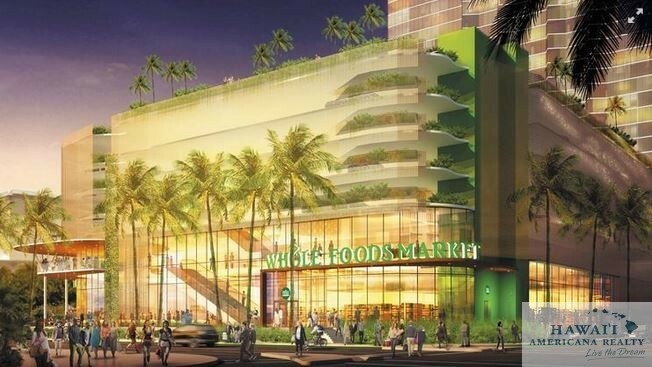 The prospect of living above a Whole Foods store in Kakaako has attracted considerable interest for condominium units in a planned tower at Ward Village where an initial group of buyers will be selected by lottery Saturday. 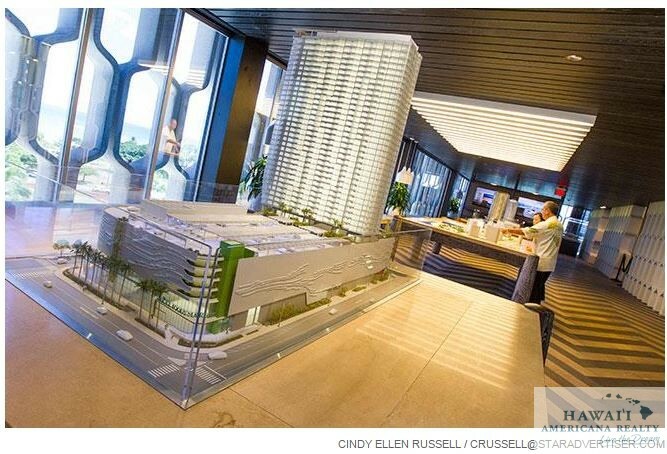 Howard Hughes Corp., the developer of the tower called Ae‘o, said prospective buyers enrolled in the lottery as of Wednesday outnumber available condo units. However, only 234 of 466 units in the tower are available for sale. The 40-story Ae‘o represents the fourth planned high-rise condo to begin sales at Ward Village — a master plan approved for up to 22 towers on 60 acres. Of the four towers being sold, Ae‘o has the most units and is the least pricey even though the average price is about $1 million. 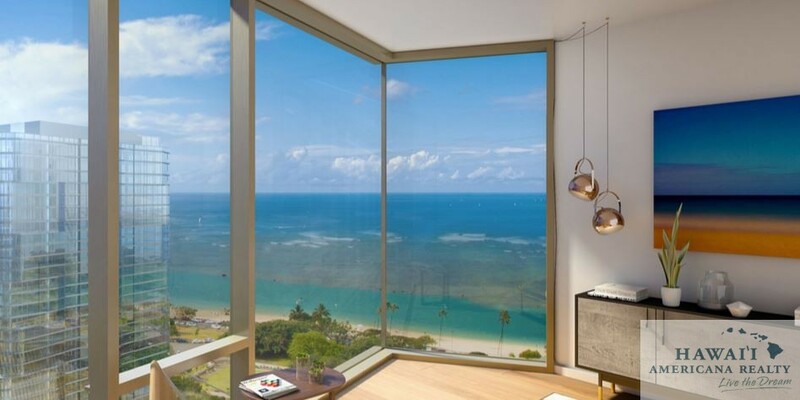 Prices for Ae‘o units range from $405,016 for a studio with 409 square feet of living space to $2 million for a three-bedroom unit with 1,331 square feet of living space. Hughes Corp. began offering 234 units for sale on July 8 to would-be buyers who will live in the units as owner-occupants for at least a year. The remaining 232 units will be offered for sale later without restrictions. Sybil Saito, a local resident who entered the lottery, said she and her husband are interested in downsizing from their four-bedroom home in Waialae Nui to a two-bedroom unit in Ae‘o. Being able to walk to the beach and a movie theater — along with having a Whole Foods downstairs — lent appeal to the idea of living in the growing urban Honolulu high-rise community, Saito said. Also, three adult children in the family will have graduated from college by 2018 when Ae‘o is slated to be completed. Applications for the lottery will be accepted until midnight Friday. The order of lottery tickets selected will allow ticket holders to sign purchase contracts for units that remain available. Ae‘o is adjacent to the city’s planned rail line and will replace an Office Depot store and space previously occupied by Nordstrom Rack at the makai-Ewa corner of Queen and Kamakee streets behind the movie theaters at Ward Village. The tower is among a growing number of new Honolulu condo buildings integrated with big retail stores. 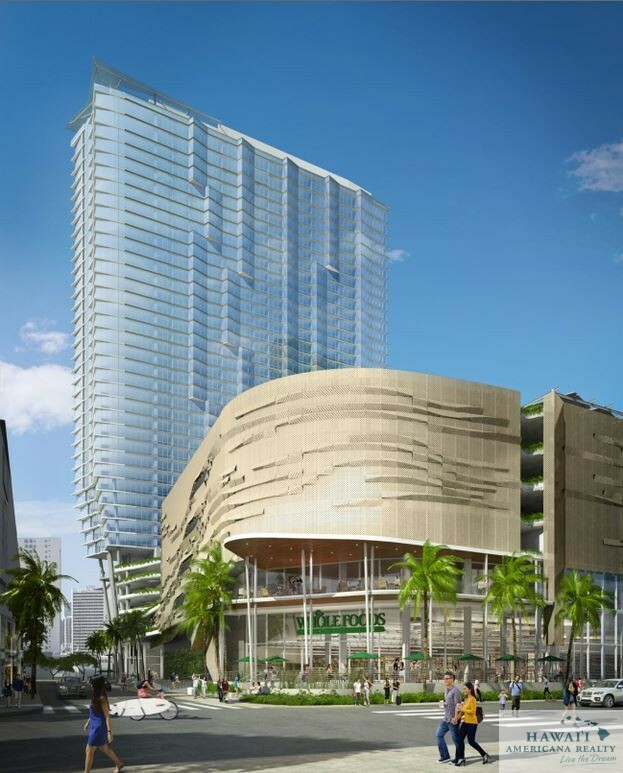 At Ala Moana Center, Hawaii’s largest shopping center, the One Ala Moana condo tower opened in November adjacent to Nordstrom above the store’s parking garage, and construction is underway on the Park Lane Ala Moana condo adjacent to a planned Bloomingdale’s store. Nick Vanderboom, Hughes Corp.’s senior vice president of development, said residents in Ae‘o will be able to walk into the 50,000-square-foot Whole Foods store from a second-floor connection in the building. 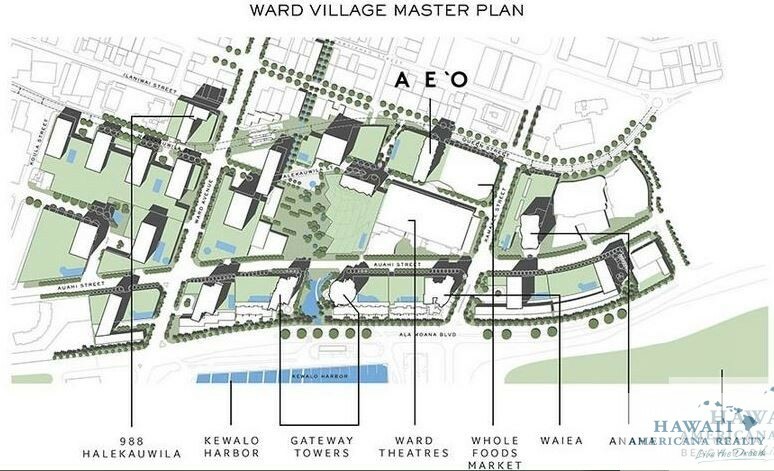 Ae‘o is part of the second phase of Ward Village. 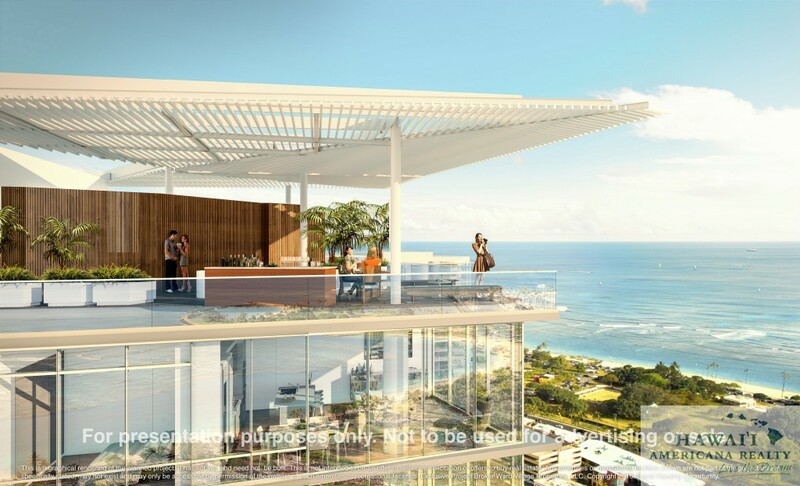 The first phase began with construction of two luxury condo towers, Waiea and Anaha, last year. According to the most recent quarterly financial report from Texas-based Hughes Corp., 148 of 177 units at Waiea had been sold as of April 30 for an average $3.7 million. At Anaha, 241 of 311 units had been sold for an average of $1.3 million as of April 30. 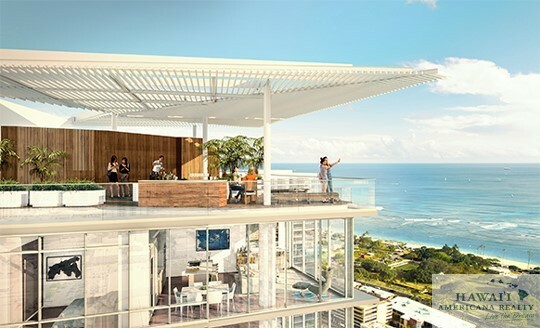 A more moderate-priced tower called 988 Halekauwila with 424 units expected to roughly range from $300,000 to $700,000 is part of phase one, but has been delayed by financing issues and an unsuccessful attempt by Hughes Corp. to convert the condo project to rentals earlier this year. 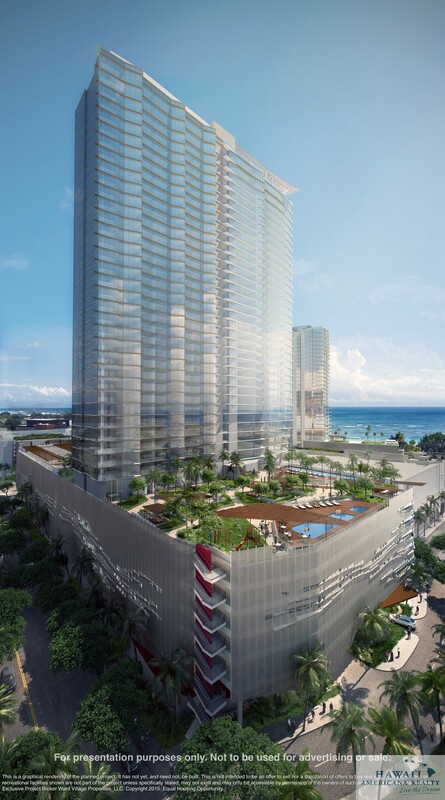 The second phase of Ward Village includes one other tower for which Hughes Corp. has begun sales. That tower is one of two referred to as the Gateway Towers on part of where Ward Warehouse stands. 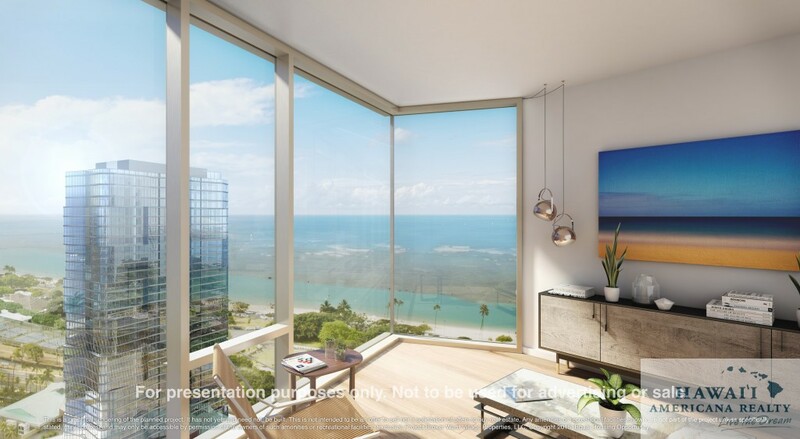 Sales began July 7 for 63 units reserved for owner-occupants in the 125-unit ultra-luxury tower that Vanderboom said is priced similar to Waiea.